For the past century psychoanalysts have attempted to understand the psychology of art, artists and aesthetic experience. 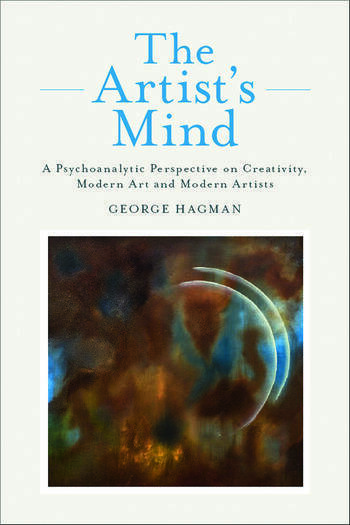 This book examines how contemporary psychoanalytic theory provides insight into understanding the psychological sources of creativity, Modern Art and modern artists. psychology of beauty, ugliness and the Sublime. co-evolution of the modern self, modernism and art. cultural context of creativity, artistic identify and aesthetic experience. Through the examination of great artists’ lives and psychological dynamics, the author articulates a new psychoanalytic aesthetic model that has both clinical and historical significance. As such this book is essential reading for all those with an interest in the origins and fate of Modern Art. Introduction. A New Psychoanalytic Model of Aesthetic Experience. Art and the Artist’s Mind. Modern Art and Modern Artists. Edgar Degas: The Psychological Edge of Modernism. Pierre Bonnard: The Seduction of Beauty. The Creative Anxiety of Henri Matisse. The Beauty of Indifference: the Art of Marcel Duchamp. Modern Art in America. Joseph Cornell’s Quest for Beauty. Form Follows Function: The Selfobject Function of Frank Lloyd Wright’s Architecture. Jackson Pollock: An American’s Triumph and the Death of Modernism. The Birth of Postmodernism: Andy Warhol’s Perverse Aesthetics. George Hagman, LCSW is a psychoanalyst and clinical social worker practicing in both New York City and Connecticut. He is also a member of the faculty of the National Psychological Association for Psychoanalysis.